Outside the Box: Coffee Girl! She is just too cute! This is another of the wonderful images from Gerda Steiner and was the freebie for this month's progressive challenge. 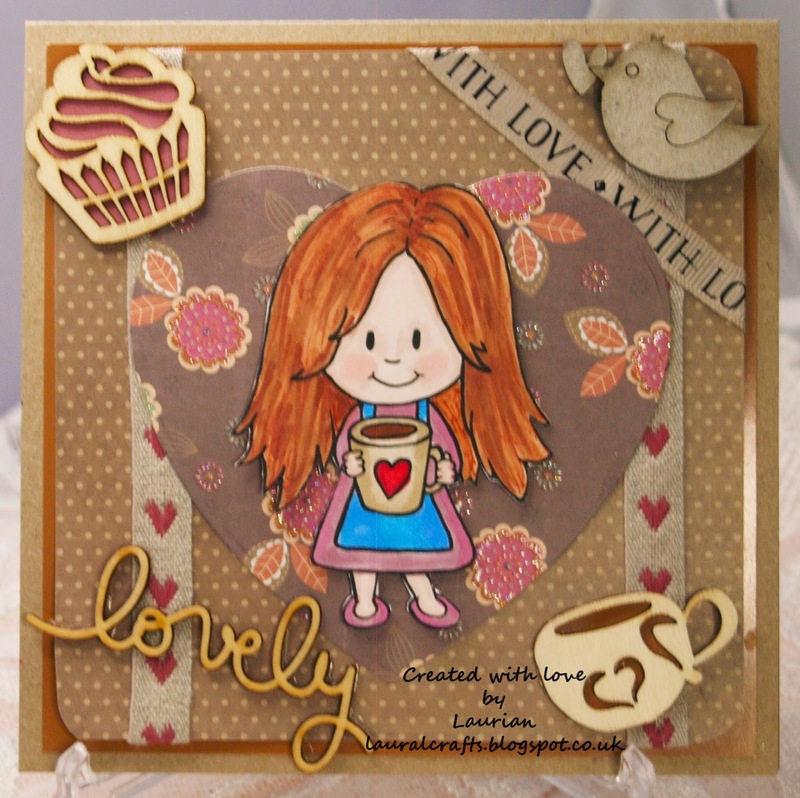 I tried to keep the coffee theme right through, I used Kraft card for my base then layered with some coffee shiny card, then a coffee polka dot from the desert bloom collection, topped with a heart shaped die cut of another brown floral paper from desert blooms. I added some rustic heart ribbons and the with love ribbon from the Paris collection, finished with some wooden die cuts. I coloured the image with Copics/Promarkers. So if you want to get to play with one of these wonderful digis each month why not pop over to Gerda's and sign up!